A&E's highest rated original series, The Glades follows Jim Longworth, a Chicago homicide detective with an attitude, who relocates to a sleepy town outside the Florida Everglades where people keep turning up murdered. Loaded with exclusive extras including extended episodes, deleted scenes, a gag reel, featurettes, and commentary. A&E's highest rated original series, The Glades follows Jim Longworth, a Chicago homicide detective with an attitude, who relocates to a sleepy town outside the Florida Everglades where people keep turning up murdered. 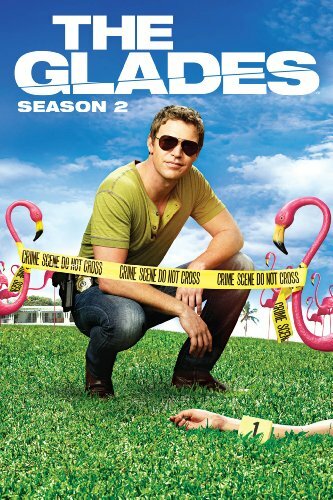 The drama and mystery of The Glades: Season 2 continues on DVD July 10th from Twentieth Century Fox Home Entertainment. Loaded with exclusive extras including extended episodes, deleted scenes, a gag reel, featurettes, and commentary, The Glades: Season 2 on DVD is a must-have for any fan!